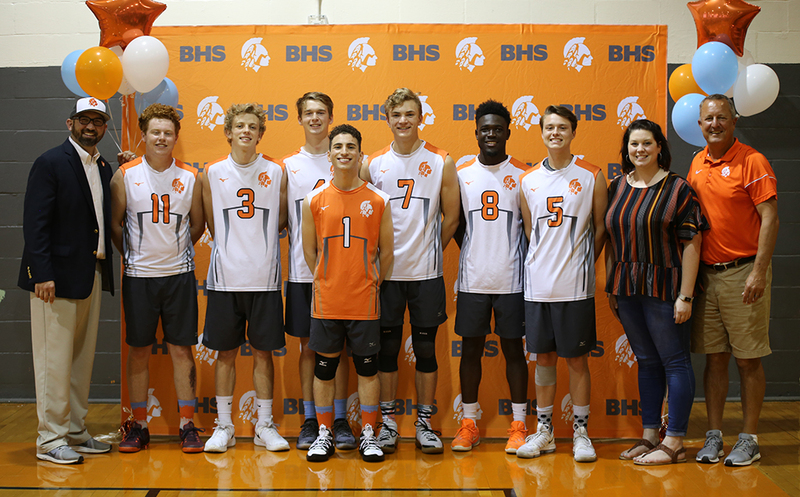 In their game before the district semifinals, the boys volleyball team took on the Ocoee Knights on Wednesday, as they celebrated their senior night. 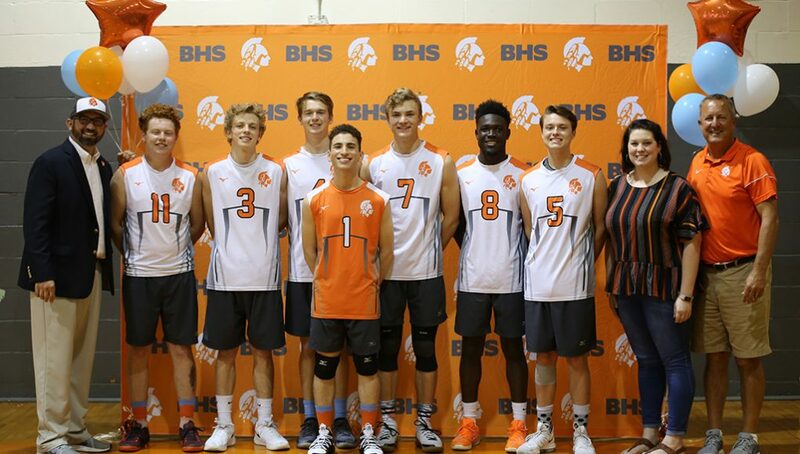 After the boys earned the first point from a low Ocoee serve, the boys continued the first set neck-in-neck until each team scored five points. Senior Liam Duffy brought the team ahead, and the boys kept the momentum throughout the end to win the first set, 25-11. In the second set, junior Jack Pflugner scored the first point for the boys, but the Knights caught up. 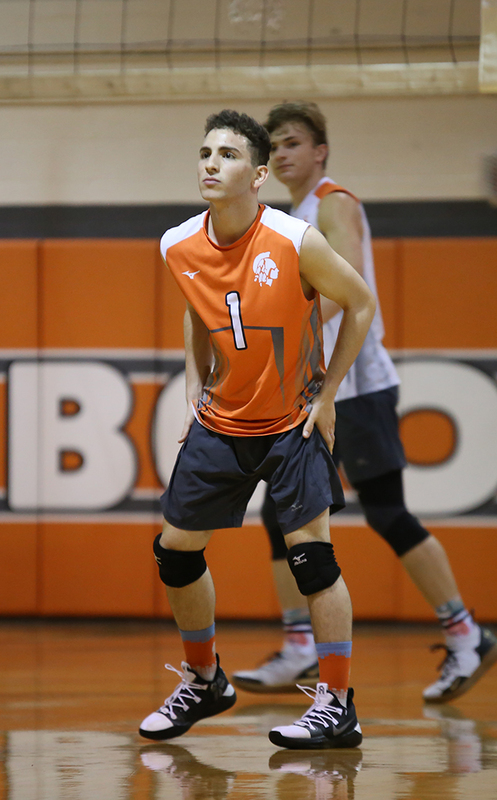 After both teams reached four points, the boys took the lead with kills from Duffy and senior Paul Jacquet. The Knights caught up again, beating the boys, 21-25. “It was a bit annoying as a team to lose the second set to a team that wasn’t better than us, but it was more of a wake up call and brought us to play together more as a team and focus,” senior Brett Creel said. Ready to make up their loss, the boys scored the first point of the third set. Creel served an ace to earn the fifth point, leaving Ocoee behind, 5-0. Creel continued to make kills, along with Jacquet, who scored the winning point for the third set. The fourth and final set began with the Braves and Knights scoring one after each other, resulting in a tie of 8-8. Senior Jackson Partlow scored to break the tie, and the boys kept the lead to the end of the set. The boys won the set 25-19, beating Ocoee. “I was happy that we won of course, but then reality stepped in and it was like, the season is really over. I felt that game could have been better to end on,” Creel said.